When I was growing up I went to school with a pair of twins, not just twins, but identical twins. We had a saying for remembering who was who — “Carl with the mole, Stephen without the mole” referring to a small mole on Carl’s left cheek. They were so identical that even their teachers and coaches who spent significant time with them couldn’t tell them apart — and yet, their friends had found an obvious point of difference to be able to tell them apart. This is the definition of biometry — the measurable features of a person that makes us each unique. Biometry is how identity started — being able to recognize each other based upon our physical appearance. Even to this day, physical appearance is the first way used to describe someone — oh, he was the short guy, or the blonde lady, or the kid with the frizzy hair. There are two types of biometrics, physiological and behavioral. The above examples of height, hair color or hair consistency are physiological characteristics of the individual that are distinctive and unique. These are joined by fingerprint, face geometry, iris pattern, hand geometry, hand or retina vein geometry, heart rhythm and footprint as physiological biometrics. Behavioral biometrics sample non-visible characteristics of the person like typing rhythm, walking gait, and voice patterns. Biometrics have been in use for thousands of years to individually identify specific people. Archeologists have found fingerprints used in clay seals dating back to ancient Babylon and ancient China. In fact, when you are getting your photograph taken for your driver’s license, school ID card or passport, you are having your biometry sampled and recorded for use later. When someone is comparing you to your photo in your identification card, they are performing a biometric verification. Starting in the 19th and through the 20th century, biometrics, specifically fingerprints, became a common method of identifying people over time and distance. In the 1980s the United States Federal Bureau of Investigation created the Automated Fingerprint Identification System which was the first computerized repository and automatic matching system. In the early 1990s biometric readers for personnel access control at large commercial and industrial installations become commercially viable — and were widely installed as a manner of managing and cataloging those who access those facilities. With the rise of smartphones in the early 21st century, consumers embraced biometric readers as a simple and secure method of accessing their mobile devices. Today consumer fingerprint sensors can be found in mobile phones, tablets, computers, door locks, and ATMs. Other biometric systems are becoming commonplace as well. The Global Entry and Clear systems for airport check-in rely on user biometry to validate that the individual is who they say they are, and “find face” systems have found my friends in photographs on Facebook, Apple, Amazon and Google services using facial biometric systems for the past few years. 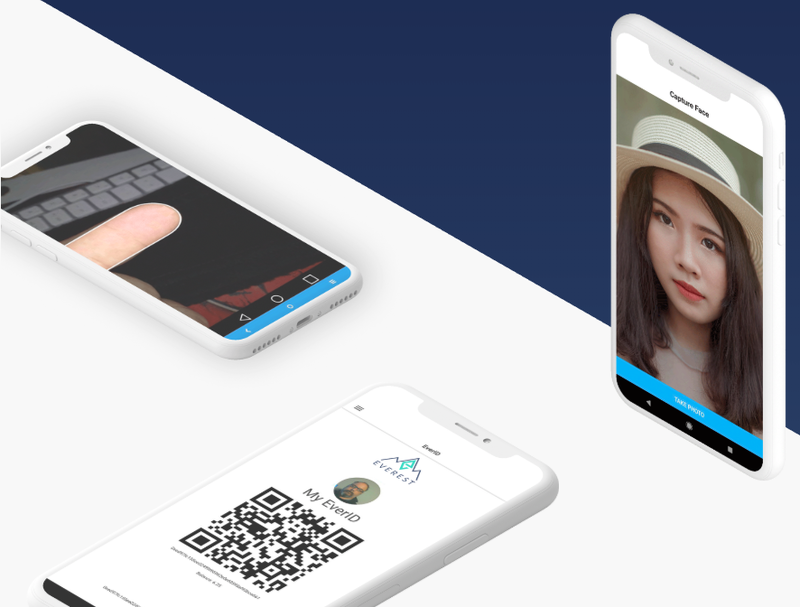 Everest leverages biometry to create the EverID for each person — facial photographs and fingerprints secure the EverID, give access to the EverID, and enable the verification of an individual’s identity using the Everest API. The goal of EverID and the Identity Network Foundation which stewards the infrastructure under EverID is to give each person on the planet their own EverID. A central concept at Everest is that the biometric elements used for EverID are able to be updated over time as various technologies become commercially viable. Some of the future types of biometry that we are most excited about are the heartbeat, vein geometry in the palm and DNA sequencing which will be able to be used for specific contexts or needs. Visit https://Everest.org to learn more about EverID and the other Everest technologies.